The Directors of Coca-Cola Co. and PepsiCo Inc have ordered their manufacturing companies to lower the inclusion of the chemical named “Carcinogens ” to avoid being tagged with a “Cancer” warning in it cans. Earlier, California law makers passed a law restricting the use of a chemical named “carcinogens ” that is used as a coloring chemical in the soft drinks. 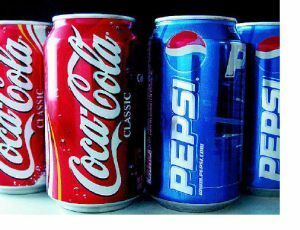 The move came after a consumer group warned the regulators about the possible cancer risk the consumer faces on drinking Pepsi or Coke every-time. The Center for Science in the Public Interest, a consumer advocacy group, filed a petition with the Food and Drug Administration earlier this Feb to ban the use of ammonia-sulfite caramel coloring citing their concerns on the experiment made on rats and mice that illustrated the possibility of Cancer.